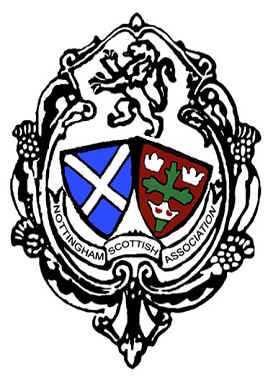 The annual Nottingham Scottish Dinner and Ceilidh Dance will be held at the Nottingham Masonic Hall, Goldsmith Street on Saturday 25 November (7.00 for 7.30 pm). The Toast to Scotland will be given by Mrs. Rosie Allen and the Ceilidh will be led by Schuggie MacInnes. Rosie was born in New Zealand and in her early life she spent time in Iraq, Pakistan and Thailand. She later settled in Norfolk before taking up the headship of a school in Nottingham. Since her retirement she enjoys walking, gardening and Scottish Country Dancing. Schuggie has built up a great reputation and a big following for the ceilidhs he runs. We can expect a great evening!